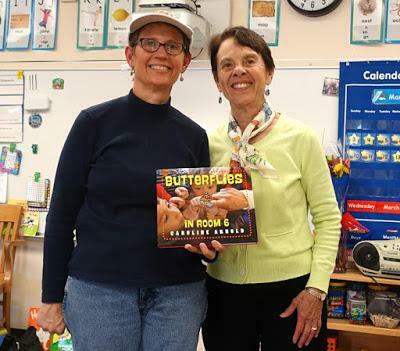 Last Wednesday afternoon, Mrs. Best, the children in Room 6, their families and I celebrated the publication of BUTTERFLIES IN ROOM 6 with a gala party in Mrs. Best's classroom at Haynes Elementary. The kids were thrilled to receive their books, find the pictures of themselves in it and remember the thrill of raising painted lady butterflies. 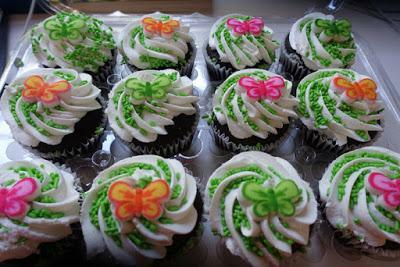 Afterward, we all enjoyed treats and special butterfly cupcakes. Many, many thanks to Jennifer Best, her students and their families. 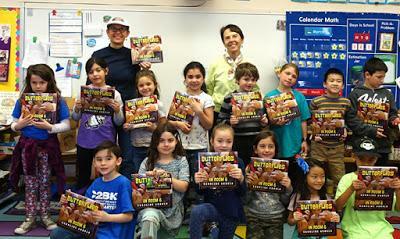 I couldn't have done the book without them!